LISTEN LIVE AS JESSE GETS READY FOR HIS BAND'S SHOW AT THE WILLIMANTIC STREET FESTIVAL ON JUNE 20TH 2019! JESSE'S FIRST GIG IN MAINE! LISTEN FOR JESSE & JACK ON THE RADIO (LISTEN LIVE ONLINE HERE: http://mgmt.firststreaming.com/listen/player.php?callsign=WNRI_AM), AS THEY PERFORM SOME HOLIDAY FAVORITES & CHAT ABOUT THEIR UPCOMING 8TH ANNUAL HOLIDAY TOY-DRIVE CONCERT TOUR! Near Glocester Town Hall at 1145 Putnam Pike Chepachet, RI! Pontiac Park: Food Truck Event! WEAR AN UGLY SWEATER & GET IN FREE! BRING A TOY! WBLQ RADIO STATION WILL JOIN US IN CELEBRATION! BRING A NEW, UNWRAPPED TOY! CATCH JESSE AND THE TRIO DOWNTOWN FRANKLIN, MA MAIN STREET, NEAR ROCKLAND BANK! MEET US ON THE NORTH SMITHFIELD HIGH SCHOOL GROUNDS ON STAGE 2! MEET US ON THE MAIN STAGE! RAIN OR SHINE, IF RAIN MEET US AT THOMPSON HIGH SCHOOL AUDITORIUM! SEE YA THERE! CELEBRATE THE DAY BEFORE JESSE'S BDAY! CELEBRATE FIRST OF THE SEASON WITH THESE BOYS! CELEBRATE MOTHER'S DAY WITH JACK 'n JESSE! WEAR AN UGLY XMAS SWEATER! ONE OF THE MANY TOYS-FOR-TOTS DROP OFF BOX STATIONS! East Greenwich Yacht Club - Annual Private Celebration! HALLOWEEN COUNTRY COSTUME PARTY -- WINNER WILL BE CHOSEN FOR BEST CREATIVE COSTUME! Mike Higgins' Guitar Talk TV Show Appearance Taping! JESSE LIAM BAND FOLLOWS THE BIG NAZO PERFORMANCE! Wharf Tavern - Private Wedding! CONGRATULATIONS TO MARY & TOM! OPEN TO THE PUBLIC: COME SEE JESSE MAKE A STOP BACK TO HIS ALMA MATER FOR A SPECIAL PERFORMANCE! FEATURING: GOURMET FOOD TRUCKS! & A CHANCE TO WIN A “JESSE LIAM BAND” T-SHIRT FROM HIS #SoMuchMoreTOO 2016 SUMMER TOUR! Private Birthday Party for a FAN! LIVE ON THE PORTABLE STAGE! Price: Check out: www.sweetberryfarmri.com for more details on tickets and food! RAIN DATE: THURSDAY, AUGUST 4TH. BRING A CANNED GOOD FOR THE "HUNGER DOWN" PROGRAM! THIS NON-PROFIT, FOUNDED BY RHODE ISLAND/SOUTH EASTERN MASSACHUSETTS TELEVISION NEWS REPORTER/PERSONALITY, ALISON BOLOGNA, WILL RAISE FUNDS AND AWARENESS FOR THE WORK BEING DONE BY SHRI SERVICE CORP! SPEND VALENTINE'S DINNER WITH JACK AND JESSE! BRING A TOY FOR ANNUAL J & J TOY DRIVE! DROP OFF TOYS THRU THE DATE OF THE SHOW, 12/18/15! TOYS-FOR-TOTS MUSIC VIDEO PREMIERE for "START LIVING TONIGHT" by JESSE LIAM! DROP OFF TOYS THRU THE DATE OF THE SHOW, 12/3/15! MY BAND WILL BE PERFORMING ON STAGE @ 8:30 PM! ***HELP JESSE AND HIS BAND GET CLOSER TO THE GRAND PRIZE EARNINGS BY TEXTING JESSE’S VOTING CODE: “VOTE6” (NO SPACE) TO 23000…VOTE UP TO 5 TIMES PER PHONE, ONLY FROM 8PM TO 11PM ON WEDNESDAY, NOVEMBER 4TH! 100TH ANNIVERSARY of Saint Sebastian Catholic Church CELEBRATION!!!!!!! Autumnfest 2015: Opening for BAHA MEN "WHO LET THE DOGS OUT"
JOIN DAD AND I AT THE WARWICK MALL THIS LABOR DAY!! Great picnic spot in downtown Providence, RI! is not permitted on the premises. Jesse will be singing the National Anthem for the Cannonball Salute at Sunset! There will be FIREWORKS over the water! The corner of Riverside Ave. and South St.
#YEAHYEAHDANCE VIDEO PREMIERE & RAFFLE PRIZE! LINE DANCE LESSONS @ 8 PM! The Downtown Stage is on the corner of Church/Railroad/Main St.
GREAT DAY TO SHOP FOR MOM'S DAY!!!! POTLUCK DINNER, ART & MUSIC, WHAT COULD BE BETTER ON A SUNDAY EVENING!!!!???? EACH OF THE TOP 5 BANDS/MUSICIANS WILL PERFORM FOR 30 MINUTES & WE WILL PERFORM AROUND THE 11 AM TIME SLOT! **COME ON OUT TO THE 3RD FLOOR OF THIS CARDI'S FURNITURE LOCATION AND SUPPORT JACK & JESSE! SET YOU DVR'S & TIVO'S!! DON'T MISS JESSE & JACK'S LIVE TELEVISION DEBUT OF #YeahYeahDANCE !! BRING A NEW, UNWRAPPED TOY FOR THE TOYS-FOR-TOTS HOLIDAY TOYS DRIVE! BRING A TOY FOR THE TOYS-4-TOTS TOY DRIVE!! PERFECT Location on the water!!! Great food and very Scenic!! Great Outdoor Spot To Catch Us! New venue for us, Come on out!! Come on out to Newport on the 1st day of Summer, to a PERFECT Location! MEET US IN THEIR BEAUTIFUL, NEW OUTDOOR PATIO !!! Our first time here! So come on out and celebrate! Our 1st time here! Come on down to Westerly, RI! Great Pizza & Dessert Pizza, yes Dessert Pizza! Try It, You'll Love It!! Jesse & his Dad finish off their 2013 holiday mall tour in Taunton, MA! We will be collecting Toys for the New Bedford, MA Salvation Army! Come Help Us and Sing Carols With Us! We will be collecting Toys-For-Tots! Come Help Us and Sing Carols With Us! Great pizza & dessert pizza!! 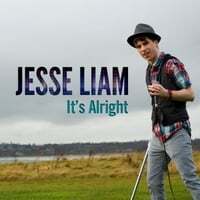 Come and support this great cause and see Jesse Liam and his Dad perform! Come support this Cancer Benefit with Music from Jesse Liam and his Dad, as well as a Fashion Show, and Karate Demonstration!!! Come on out to scenic Middletown for the Jesse Liam Band's 1st time @ Sweet Berry Farm! A night of local musician fun in the heart of Providence, RI! This gig features Jesse Liam and his dad as a duo performance! Jesse Liam Gauthier and Jack Gauthier LIVE as Father-Son Duo! Jesse Liam and his Dad perform before Gov't Mule hits the main stage! Jesse Liam Band LIVE in Tiverton, RI! BYOB, BYOW, & YOU CAN BRING YOUR OWN FOOD! Come be entertained by your favorite father & son musical duo Jesse Liam Gauthier & Jack Gauthier, as you wait to meet Celebrity Chef, Bobby Flay and get his new book signed! Great Cause! Come check us out!! Jesse and his dad Jack Perform at the Start of this Show at 3pm! Includes: Valetine's Buffet Dinner with "Steak Tips" & Chicken Marsala from 6-8PM! Come Join Jesse and His Dad at the Emerald Square Mall for Holiday Music, Toys-4-Tots Charity Drive, and Shopping! Come Join Jesse and His Dad at the Warwick Mall for Holiday Music, Toys-4-Tots Charity Drive, and Shopping! Breakfast With Santa, Pancakes, Juice, & Coffee AND Jesse and Jack Sing the Sounds of the Holiday Season! With an Appearance From This Year's American Idol Finalist, Erika Van Pelt!! Come be entertained with your favorite holiday songs performed by Jesse & Jack as you wait to meet Celebrity Chef, Tyler Florence and get his new book signed! Jesse Liam Band Live at the Coventry Men's Club "Steak Cook-Out!" Jesse Liam Band LIVE! Great Pizza Too!! Come and Support this Great Cause of Benefiting this no-kill Pet Refuge Center! The Jesse Liam Band Live at The Crossings at Smithfield's Gazebo for their Tuesday Night Summer Concert Series! Jesse Liam Sings the National Anthem & God Bless America at this PawSox Baseball Game!